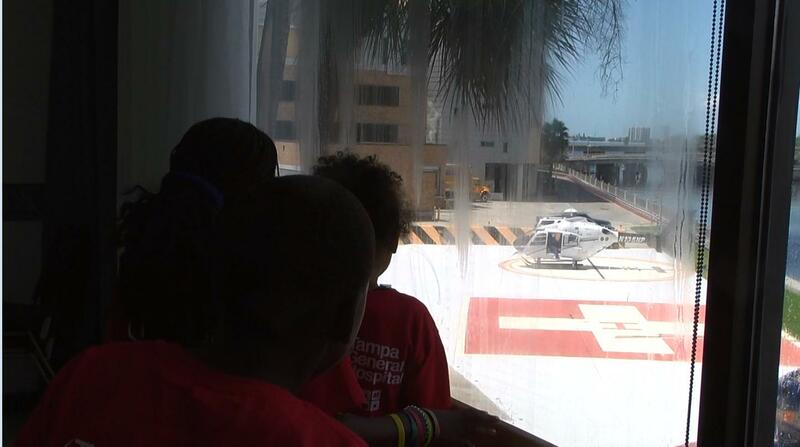 Campers from the Sulphur Springs YMCA ate lunch at Tampa General after touring different areas of the hospital. Micah Jones visited Tampa General Hospital over the summer to learn about heart health. Saima Qadree is the senior program director at the Sulphur Springs YMCA. A few campers from the Sulphur Springs YMCA watch as a medical helicopter lands. For the first time in a long time, Florida's children aren't getting heavier. The Centers for Disease Control credits the drop, at least in part, to First Lady Michelle Obama's "Let's Move!" campaign. Among Florida's low-income preschoolers, obesity rates dropped a full percentage point, from 14.1 percent in 2008 to 13.1 percent in 2011. 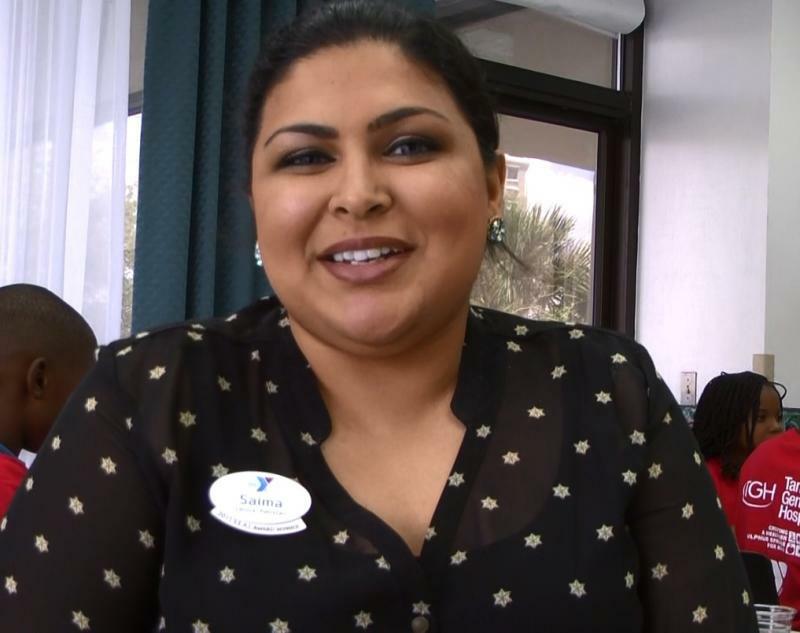 At the Sulphur Springs YMCA, the "Let's Move" campaign is helping lower childhood obesity rates, the program director explains to Health News Florida's Lottie Watts. "It's a bright spot for our nation's young kids, but the fight is very far from over," said CDC Director Dr. Tom Friedan. 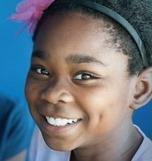 "Still, about 1 in 8 preschoolers in the U.S. is obese, with even higher rates among African-American and Hispanic kids. And there are several trends that are favorable that we believe are associated with this." The reason childhood obesity is such a concern is not just because of the health issues they experience as children, according to Frieden. "Obesity in early childhood increases the risk of high cholesterol, high blood sugar, asthma, and many other health problems both in childhood and adolescence as well as on into adulthood," Frieden said. "It's a national epidemic, but even in particularly low-income communities, under-served populations such as the youth in Sulphur Springs, it's a very high problem, but we are here to move the needle on that." He said preschoolers who are overweight or obese are five times more likely to be overweight or obese as adults. At the Sulphur Springs YMCA in north Tampa, the national "Let's Move!" campaign is in full effect, and senior program director Saima Qadree said she's noticed slow but steady progress. "Obesity, particularly in areas such as Sulphur Springs is a heightened problem," Qadree said. "It's a national epidemic, but even in particularly low-income communities, under-served populations such as the youth in Sulphur Springs, it's a very high problem, but we are here to move the needle on that." They teach the importance of, "the five fruits and vegetables per day, no more than two hours of screen time, one hour of physical activity and then almost no or zero sugary beverages." 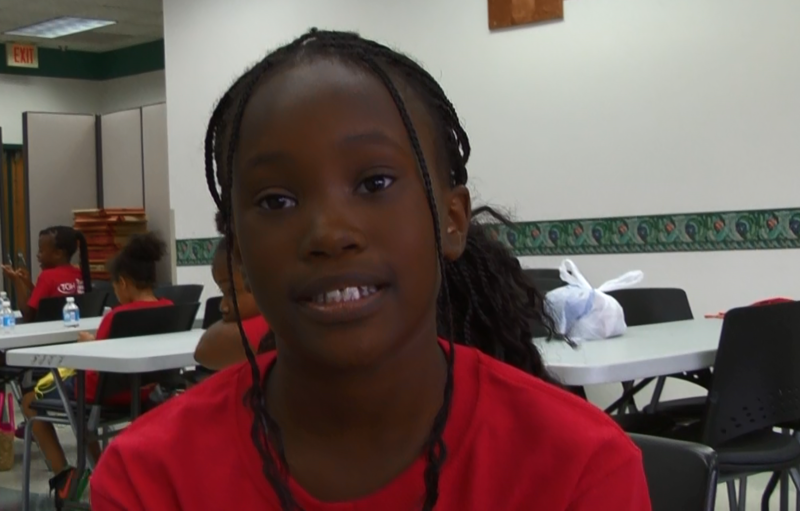 Over the summer, Qadree brought a group of fourth and fifth graders to Tampa General Hospital for a field trip for More Health's "Are You Heart Smart?" day. The campers did the "Walk-Through Heart” lesson visited the Cardiac Catheterization Lab and toured the Aeromed helicopter. "Not only is it exposure to different health fields and potential careers for them, but also an opportunity to learn about active living and healthy behaviors," Qadree said. Camper Micah Jones lit up when she talked about the hip hop dance routine the students did right before lunch. She described it as "absolutely crazy fun!" She said she knows it's not just about fun -- but about keeping her heart healthy, too. "I was sweating on my face, so it must have been a lot of exercise," Micah said. According to the latest "F as in Fat" report from the Trust for America's Health and the Robert Wood Johnson Foundation, Florida still has a serious obesity problem. Although the rate decreased slightly from 26.6 percent in 2011 to 25.2 percent in 2012, researchers say the lower numbers aren't statistically significant. They call the changes a "leveling off," not a decrease. 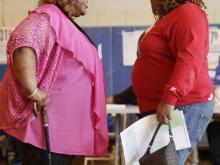 Across the country, every state except for Arkansas had a slightly lower adult obesity rate. Researchers caution there's still a long way to go, and note people who are obese are at risk for much worse health outcomes and higher health costs. "The numbers were essentially flat from last year," said Jeff Levi, executive director of the Trust for America's Health. "That's the first time in the 10 years we've been doing this report, and in the many years the CDC has been following theses trends, that we've seen that kind of leveling off, so that's a very hopeful sign."